Google: bring Street View to the whole world. Open up a map of Brooklyn, pick a block at random with your eyes closed. Now find me a picture of that block from around 1900. I'll wait. Odds are you failed. (If you didn't, please control your skepticism.) Now, find a picture of Caroline Astor's house from around 1900. This time I won't wait, because it will take you about two seconds. Urban history is largely written by (and about) the rich. The accounts of the rise of a city like New York include lots of information about the landholding families that developed the city, the landmark buildings and monuments that tourists photograph every day, and the wealth and opulence of the upper classes. Even relatively populist texts will focus on the homes of the expanding middle-class (most of which are still standing), and perhaps a few of the former slums that survive today in the form of tenements, museums, and partly-remembered personal histories. The worst slums have vanished, as a matter of course. Most have been forgotten. I've spent some time chronicling the New York that's buried underneath the modern one on my blog and in other projects. The topic is extremely elusive. In most cases, I don't know how to look for place that I don't yet know to have existed. You don't find a lot in the history books about buildings like this one. In fact, you can't even find where it stood without surveyor's tools. There's a prosaic type of urban history that's easier to forget. In the developed world we have a relatively impressive power of recall, owing mostly to concerted efforts by academic and public institutions. A dedicated researcher can learn quite a lot about the city they lived in—or that their grandparents lived in—if they're lucky. For every building I'm able to document, there's quite a few that I can't—and many more that I'll never even know about. Google Street View has, over the last couple years, begun expanding its focus to the developing world. The images that its unblinking eye reveals can be pretty jarring. Embu Das Artes (near São Paulo), Brazil. * "Unbiased" here should be qualified; the Street View car doesn't seem to travel into the very worst places, for various reasons. At the entrances to many favelas, the road beings to look quite unpassable. Bringing this information online is obviously a fascinating project in of itself. 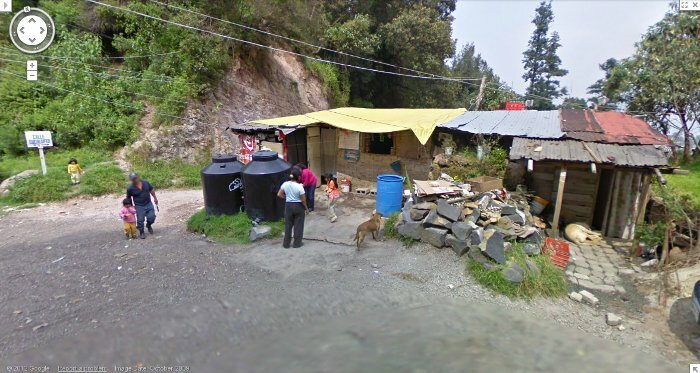 I've wasted hours upon hours browsing around on Street View, both in the States and all over the world. More important to me, however, is the prospect of building a complete record of vast swaths of the developing world. 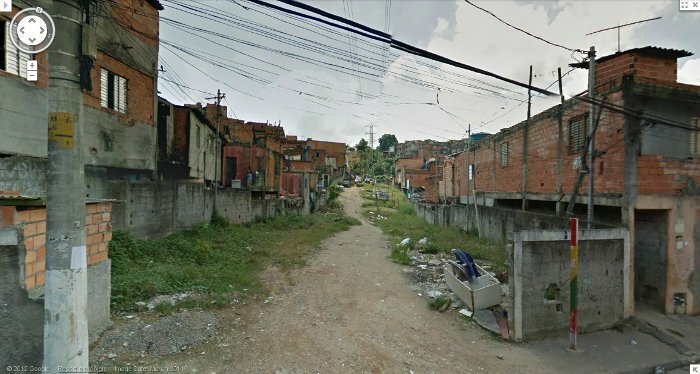 Today you can view the living conditions of people who are on the margins of society in Mexico, Brazil, or South Africa. Street View here is creating a history that can't be papered over later—an accurate and unbiased* record of the state of these countries, before it's replaced by another world that's almost unrecognizable by comparison. 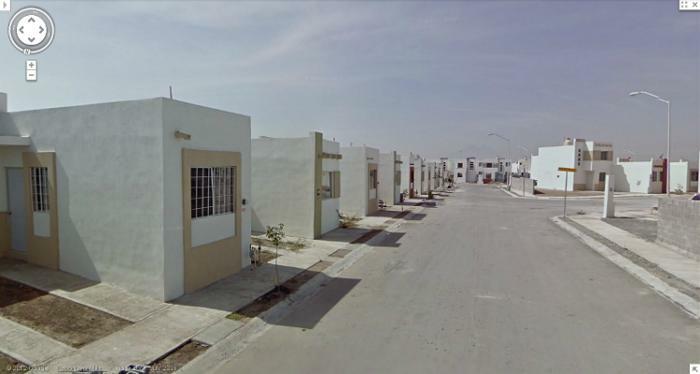 New suburban construction, Apodaca, Mexico. Parque Nacional Desierto de los Leones, outside Santa Rosa Xochiac, Mexico. Of course, not all this history is forgotten. It's not hard to find a record of the broad social arc of slum clearance. Hands are wrung over the fate of the people that live there, and after the deed is done the rest of the world can marvel at images of gleaming residential developments where corrugated iron shacks used to spread informally across the landscape. There's no shortage of urbanists and activists willing to document the conditions that once existed, or fight for the livelihood of those living there. But until recently, what was irrecovably lost was the individual record of lives lived–"my house was there. My brother's house was over here." We can find photos of a few houses in Dharavi, but can you find all of them? Over time, the geography of poverty is permanently wiped out, and the people trying to learn from it have only broad outlines of what used to exist. In the rare cases where a record survives, the results are fascinating and completely alien to our experience. Unforunately, these cases are all too rare. 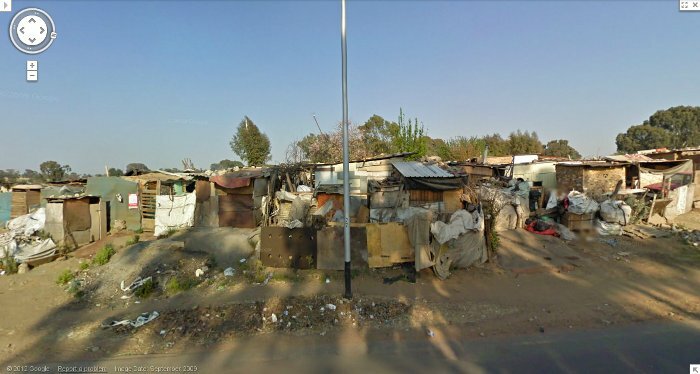 Slum on the outskirts of Germiston, South Africa. This is not strictly an economic issue. There's other geographies we'd prefer not to be confronted with, and that in fifty years we might be happy to forget. 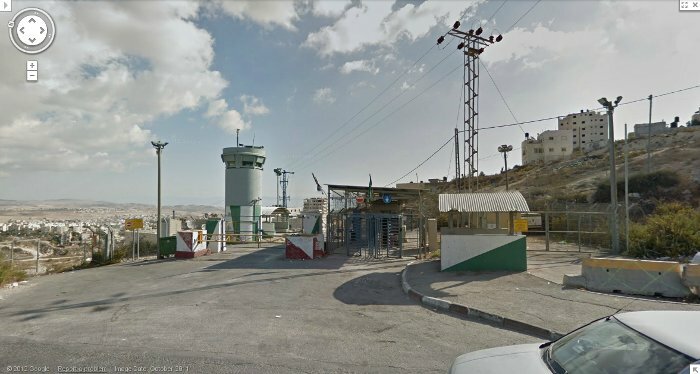 Shuafat Refugee Camp, Jerusalem, Israel. 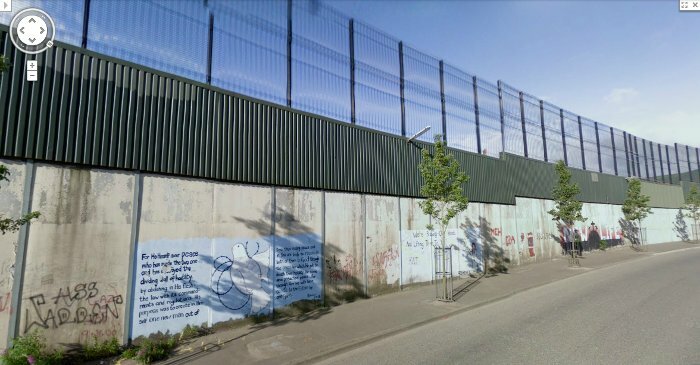 Murals on Belfast "peace wall", Northern Ireland. 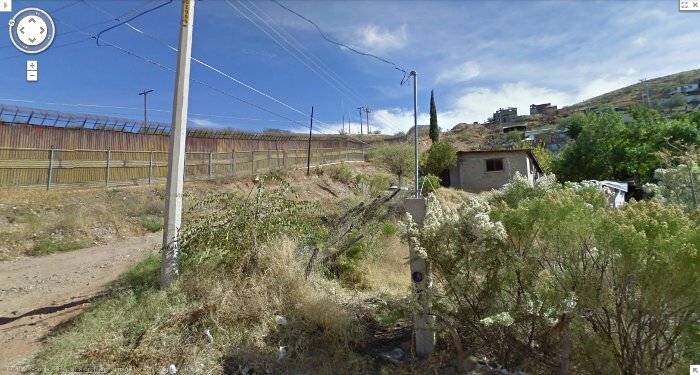 Houses near Mexican side of border wall, Nogales, Mexico. Collective amnesia is not limited to the history of the poor. The barbed wire and electric fences that surround many properties in South Africa don't create any more national pride than the slums do. When they're gone, we will do our best to forget them, too. 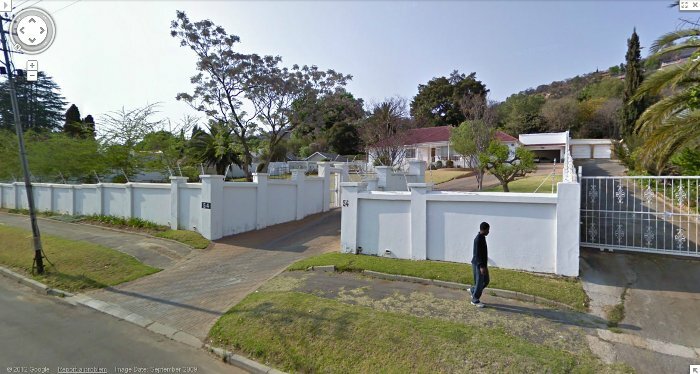 The house as fortress, Johannesburg, South Africa. So here's my formal plea. In thirty years, I'd be amazed if I lived in a world where I could drop in to any street in any part of the world and have a perfect record of what it looked like in 2012. Doubly so for the parts of the world I go through my day without thinking about. This isn't a far-fetched plan—Google could do it today. We should really do it.